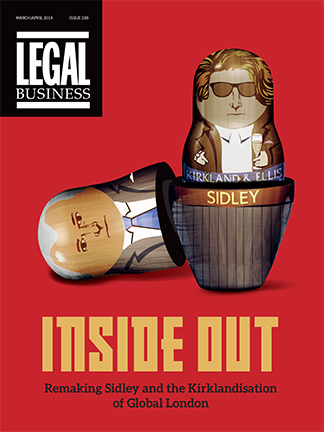 The periodic excitement over the liberalisation of the Indian legal market may currently be reduced to background chatter but the past fews days have been a reminder that the top UK firms continue to position themselves for India work while leading local firms are themselves bulking up and adopting far more expansive strategies. Squire Sanders expanded both its Middle East and South Korea operations in October, as Latham & Watkins reported a surge in investment activity between Asia, most notably China, and the Gulf states. Cleary Gottlieb Steen & Hamilton also announced in October that it will open an office in Seoul, following approval from the Korean regulatory authorities. This follows the opening of the firm’s office in Abu Dhabi in September. Squire Sanders expanded its Middle East practice through the acquisition of El-Khoury & Partners’ Middle East and North Africa (MENA) business, which formerly operated in Saudi Arabia as EK Partners & Al-Enezee. The drive of offshore firms into Asia continues apace. Bedell Cristin opened a Singapore office in July, following Mourant Ozannes’ launch in Hong Kong at the start of the year; Appleby opened a representative Shanghai office in April; and in September, showing its own long-term commitment to South-East Asia, Maples and Calder also announced the opening of a Singapore office. In 2006 Freshfields Bruckhaus Deringer’s then Asia managing partner Perry Noble explained to LB why the firm had pushed through a major rationalisation of its partnership in the Far East. In the hope that its Asia business would begin to make the profits that the London HQ demanded, the firm radically reduced the size of its partnership in Asia and closed its Singapore office.